Hiya! 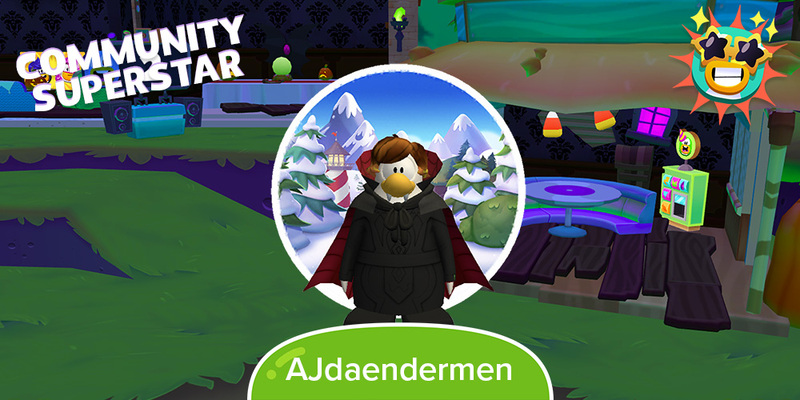 I would like to nominate AJdaendermen for Community Superstar! He’s a great friend to me and has always seemed to cheer me up when I’ve felt down and most of the time I don’t even tell him I’m feeling down! It’s his positive, friendly personality that cheers me up! He’s also supported everything I’ve done. From my igloos to my blog, his positive yet constructive criticism inspires me to keep going! And that’s why I hope to keep in touch with him after CPI’s closure and why I think he deserves Community Superstar! Your spooky Halloween igloo looks like an awesome place to hang out with friends and tuck into a slice of pizza, and your outfit is fang-tastic! Although I don’t know you well, you sound like an incredibly positive and supportive friend to Kappa amigo and I’m sure to many others. Being there for your friends might seem small, but it can mean the world to someone. To me, that’s what Community Superstar is all about. Thank you for making a difference in our community! Have you got a friend who you think deserves to win Community Superstar? Let us know in the comments below! Any and every penguin has a chance of winning Community Superstar. I always look forward to reading nominations and learning more about the penguins who have made CPI a better place. 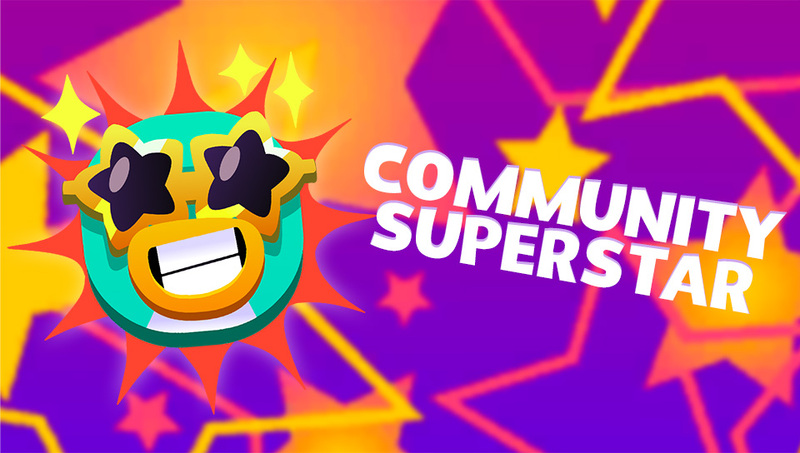 Don’t forget – every winner of Community Superstar gets a little pack of Party Supplies to share with the community and celebrate. Our next Community Superstar winner will be revealed next Friday 9th November, so make sure you nominate a friend in the comments below to tell the community all about them! Your nominations make this series happen, so please get involved and share the joy with us. Until next time, SUPERSTAR FAMILY! I would like to nominate Kappa Amigo for Community Superstar! Kappa has been my best friend since I had met him! 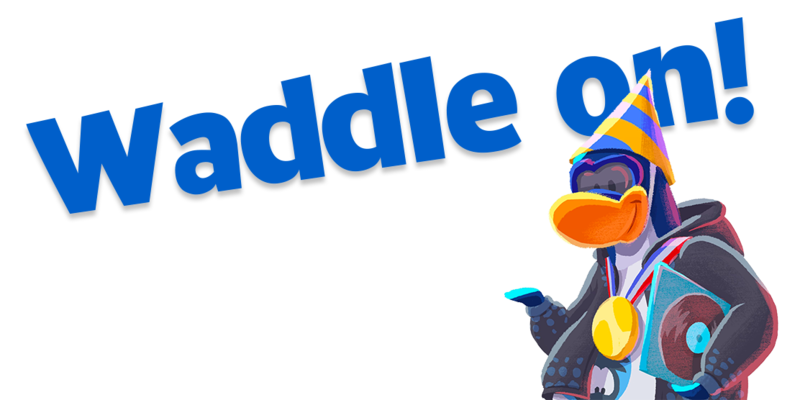 He’s the very reason I’m still a fan of CPI to this day! There was a time period where I hadn’t played CPI and Kappa still kept me on his friends list! Anyway Kappa made me happy without knowing I was even sad!